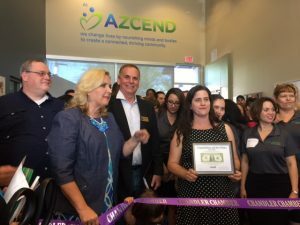 Trinity Donovan serves as the CEO of AZCEND, a nonprofit that helps people as they move from crisis to stability and ultimately to prosperity. Working in nonprofit leadership positions for the past 19 years, her areas of focus have included hunger and homelessness, early childhood, senior programs, financial stability, and youth development. Donovan also served two terms as a councilmember for the City of Chandler and has represented the city on a regional and national level in areas of human services, transportation, water, and sustainability. Donovan holds a Bachelor’s Degree in Comparative Studies in Race and Ethnicity, and a Master’s Degree in Sociology—both from Stanford University. She is a graduate of Valley Leadership, a Phoenix Business Journal Forty Under 40 awardee, and has served on a variety of boards and commissions. Through her fellowship, Donovan will explore successful social enterprise models in order to bring an additional source of revenue to AZCEND and provide jobs for participants to support themselves and their families. She plans to attend the Stanford Social Entrepreneurship Executive Program and to visit successful social enterprises throughout the U.S. Seeing the value in positive psychology and increased engagement, Donovan will complete the Diploma of Positive Psychology and Wellbeing through the Langley Group Institute and focus on positive leadership, positive HR, positive parenting, and positive communities. She will attend the StoryBrand workshop to improve her storytelling and messaging skills, and also attend a creative writing retreat as a time for reflection. Our 8th Annual Walk in the Park to end Poverty raised nearly $20,000…..Thanks everyone! Our sponsors were SRP, FirstBank and First Credit Union. Kelly Delgado (center) is the Senior Program Manager for AZCEND. She manages the Gilbert Senior Center and the Senior Nutrition Program at the Chandler Senior Center. Amanda Shepard (left) is the Activity Specialist at the Gilbert Senior Center. She offers an array of classes, health presentations, activities, special events and trips. Lisa Price (right) is the Outreach Specialist serving both centers and the community. She provides community referrals, offers info and helps participants with transportation services and conducts home visits. When you visit either of the senior centers one of these ladies will be available to give you a tour and explain more about the senior programs. After 50 years of service to the communities in Southeast Valley, local nonprofit organization embraces new brand that reflects its growth and future. Chandler, AZ. 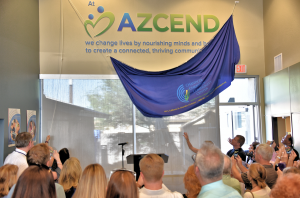 May 16, 2017 – In front of a crowd of volunteers, donors, sponsors, clients, and local church and community dignitaries, the Chandler Christian Community Center (CCCC) board of directors unveiled its new brand name…AZCEND. The first step in the rebranding process was to conduct an extensive survey of all constituents to document their opinions about the organization and services rendered. The results of the survey were clear: partners, donors and volunteers would not feel differently about the organization with a new name and brand. They would only feel differently if our mission changed. 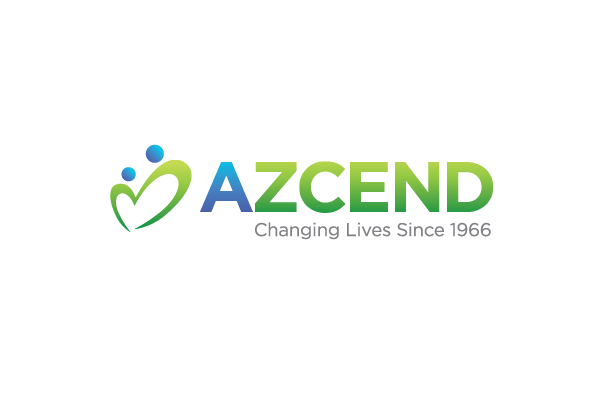 Founded in 1966, AZCEND is a 501(c) 3 that last year served 17,375 unique individuals with efforts supported by over 1,000 volunteers. Programs are designed to help people move from crisis to stability to prosperity with services including food boxes, senior nutrition and activities, rent and utility assistance, homeless services, case management, and family programming. 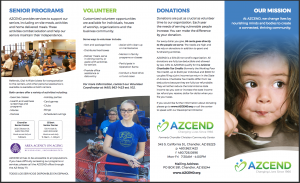 For more information on AZCEND, formerly Chandler Christian Community Center, visit www.azcend.org or call (480)963-1423. We perform all of our daily duties with utmost integrity, knowing that the communities we serve trust us to assist their most vulnerable citizens. Compassion for our community and the people we serve is what drives everything we do, knowing that when one person reaches out to help another, both are lifted up in the process. Our goal is not simply to meet the physical needs of those we serve, but to empower others with an unwavering hope that each step is a step forward, and tomorrow will be better than today. In order to maximize the resources that have been put in our care, each of us strives for excellence in our individual and collective activities, continually looking for ways to do more and do better. Finally, AZCEND is built on a culture of respect. Respect for our mission, respect for each other, respect for the people we serve, and respect for the resources provided to support our mission each day. Practically speaking, CCCC is a bit of a mouthful—even for an acronym. So we set out on a process-driven exercise to identify a new name and a new brand that would carry us forward for the next 50 years and beyond. This was our primary area of focus before the re-branding began. How could we position the organization for the future without alienating our individual, corporate and faith-based donors and volunteers that have made CCCC possible? The only thing changing about us is our name, our logo and our colors. Our mission remains the same as ever: we change lives by nourishing minds and bodies to create a connected, thriving community. That spirit of compassion and service remains at the heart of what we do and will do for the next 50 years and beyond. We will continue to work alongside all community partners to deliver the services with effectiveness, compassion and respect. What was the process in changing the name and brand? Henry had been an I-HELP client previously, but by his own admission he had not accepted the personal responsibility and accountability integral to his success. He first learned of Chandler Christian Community Center’s I-HELP program through a Google search. Henry had long struggled with alcohol and drug abuse, however, and at that time was not willing to seek help. While previously participating in I-HELP, Henry had secured housing but was unable to pay his rent, spending his limited funds to purchase drugs and alcohol. During his first week with I-HELP, Henry applied for a job with a number of employers, just as he promised. By the end of his first week with I-HELP, Henry was hired to work in a Chandler hotel, earning more than minimum wage. By the end of his second week of employment, Henry provided the case manager with his pay stub, time sheet and money order, representing 75% of his wages, to save as the down payment for his housing when a suitable home became available. Never doubting he could achieve his objective through pure diligence and drive, Henry’s self-esteem, purpose and direction was unwavering! Perhaps most importantly, Henry was now clean for an extended period of time. After another two weeks of employment, Henry received his paycheck. On that very weekend, he moved into his new residence, breaking the cycle of chronic homelessness within a month of entering I-HELP Chandler! Henry both learned and demonstrated the importance of seizing that very precious second chance. The CCCC I-HELP staff is grateful to have been a part of Henry’s journey to a better life; one in which he continues to achieve his greatest potential while being an asset to his employer and community. Danny recently lost his wife and was looking for place to spend his time. 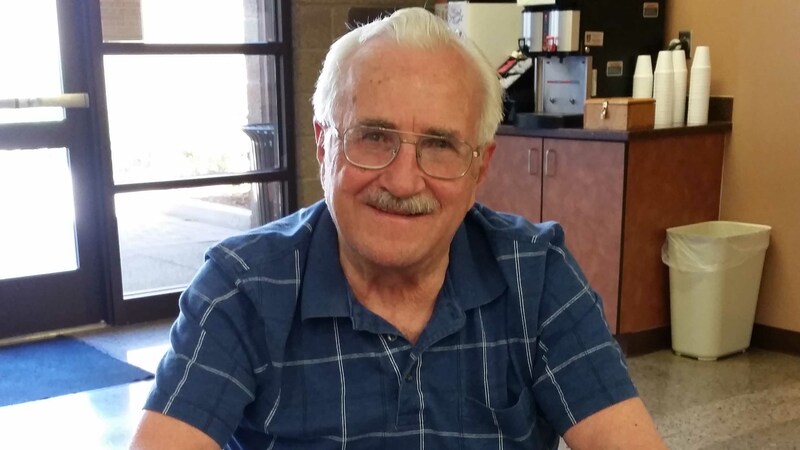 He heard about the Senior Nutrition Program at the Gilbert Senior Center through another program he was attending in Chandler. Danny was quiet at first. He found a little corner table in the front of the dining room and sat alone for a couple of days. Staff would stop by and say good morning as Danny waited for meal service to begin. Danny explained to the staff that he is a people-watcher and enjoys the coming and going of different participants throughout the day. He arrives at 8:00 am and stays well into the afternoon. Since then, Danny has chosen to participate in more Senior Center activities. He recently participated in our Dining Out activity, found out he enjoys Wii Bowling, and took a trip on the Dolly Steamboat with the Activity Specialist and other participants. He even spent an afternoon helping the children of the Town of Gilbert’s preschool class play Wii. Danny is very thankful for the programs offered at the center and he isn’t quiet when it comes to letting staff know how much he appreciates the work they do. For several years, Ginger (shown above) and her coworkers have teamed up to support a family during CCCC’s annual Christmas event, Operation Santa. Every year, they purchased gifts for a family in need, often going above and beyond to share the Christmas spirit. This year, however, was even more special than usual. Through Operation Santa, Ginger and her coworkers met a recently unemployed mother who challenged the common stereotypes many of us have about poverty. She had recently lost her job with an $85,000 annual salary and found herself unable to buy Christmas gifts for her children. Her story made for a memorable Christmas experience for these loyal Operation Santa donors. Ginger, you and your coworkers have donated to Operation Santa for years. What has your past experience with Operation Santa been like? My office has been participating for years. Every family has been so overwhelmed when we come by. The year before last, my boss went out and got beds for the kids. They didn’t have beds. There have been times that we’ve gotten bikes, and we collect money as well to buy gift cards. This year was my favorite. This past Christmas, a single mother in Gilbert registered her two children for Operation Santa, and her story came as quite a surprise. What happened when you contacted her? At first I wasn’t sure because I couldn’t get a hold of her. I was a little concerned because we needed to make sure we had a family. One of the things that made me wonder is that she lived over by Highland High School in a pretty nice area. That kind of brought up a red flag because why does somebody who lives in such a nice area need help? But when she got back to me, she said her son had been in the hospital because he had croup. She moved to Gilbert from Chicago because she had been transferred by her company, but then when she arrived here, they eliminated her position. When she moved she had a decent job making $85,000 a year, but soon after she moved down here, they eliminated her position. She rented this house. So, here she is stuck, and she has two little kids and is going to school. What I liked about her was you could tell she was really striving to better herself. She didn’t want to have to ask for help, but she had to. And she told me she wants to be the one to adopt a family next year. So her story really touched us. We were so happy to help her. So how did the people in your office respond to her story? Oh, they loved it. When they heard she was going to school to get her real estate license, they were excited. She is just the nicest woman. We really liked her, and she brought us a little gift when we met her. How did the actual distribution go when you gave her the gifts? We met in the parking lot of CCCC. Four of us came from work, and one coworker brought her daughters along so they could help her pick out things for the kids. So her kids were involved in the shopping. The mother brought her kids. Oh my goodness, cute kids. The little boy has had so many problems over his croup, and we were going to meet earlier, but she called and said he was sleeping. That was rare these days, so she didn’t want to wake him up, so we met later. I opened up the car door, and as soon as I saw him, he had a big smile on his face. He’s all smiles. He’s the cutest little thing. What did your office give to the mother and her two kids for Christmas? 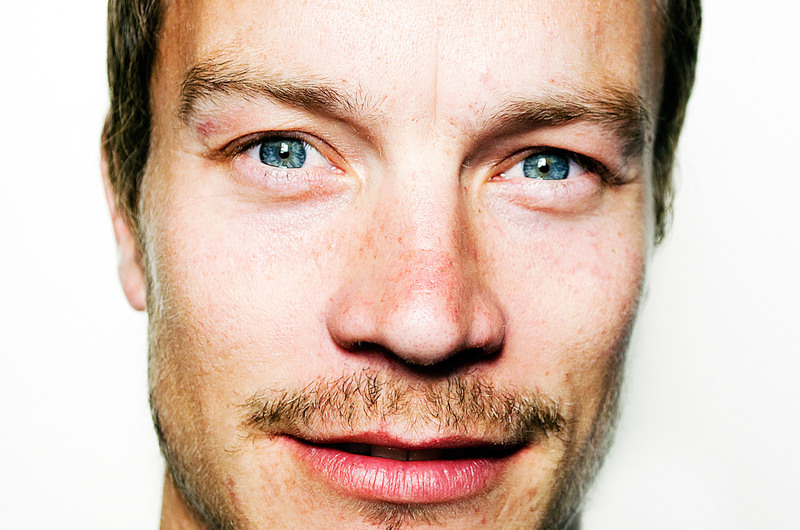 Oh gosh. We bought everything on their list, plus. They asked for normal things. The boy liked anything with wheels, so lots of cars and tub toys and a ball. The girl wanted a little stuffed kitty. We got lots of household items like toilet paper, paper towels, and laundry detergent, and we got the mother a robe. One lady in our IT department buys a basket of household items every year. That’s her thing. Making somebody’s day like that just makes you feel so good. We love to do it . We love to overdo it too. There were lots of hugs, and it was very heartwarming. You wish you would be there when the kids open their gifts on Christmas Eve. But she called us the week after Christmas to thank us and tell us how much the kids liked everything. Is there anything else you would like to share about your experience with Operation Santa? We really appreciate having a place like CCCC to be able to do this. I remember one year, one of my coworkers volunteered to help CCCC translate Christmas wish lists from Spanish. And she said she cried and cried while she was doing it, especially when a little boy asked for toothpaste. You hear things like that, and you realize how lucky we are. When LaDonna lost her husband two years ago, she and her three children did not know where to turn. As a newly single mother fearing for her children’s health and future, she turned to CAP (Community Action Program) at Chandler Christian Community Center, and that decision has made all the difference for LaDonna and her children. We want to hear from you! Please take the 2-minute CCCC Identity Survey. As CCCC celebrates 50 years, gives us your input. Even though 27% of Arizona children spent Christmas in poverty, through Operation Santa, donors made their Christmas brighter.